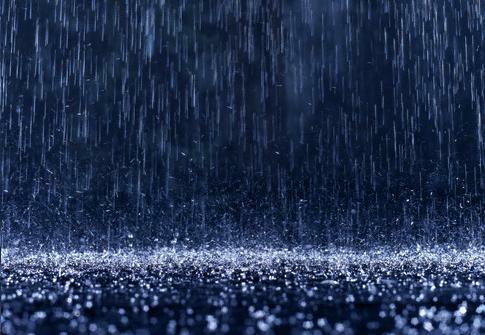 “Life is sometimes hard. Things go wrong, in life and in love and in business and in friendship and in health and in all the other ways that life can go wrong. And when things get tough, this is what you should do. I find that Neil Gaiman is hit or miss with me. For instance, I really enjoyed Stardust, but I loathed American Gods. I made it only about 100 pages in before I abandoned it. 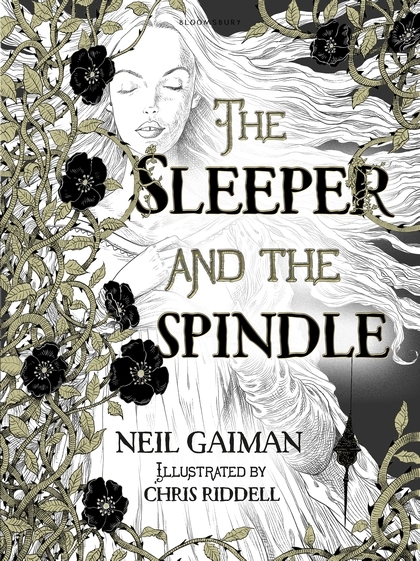 So, I was very happy that I enjoyed reading The Sleeper and the Spindle. Firstly, this book is a visual masterpiece. I loved the illustrations. They are beautiful, and I find that they add a lot to the story. They help tell the tale. 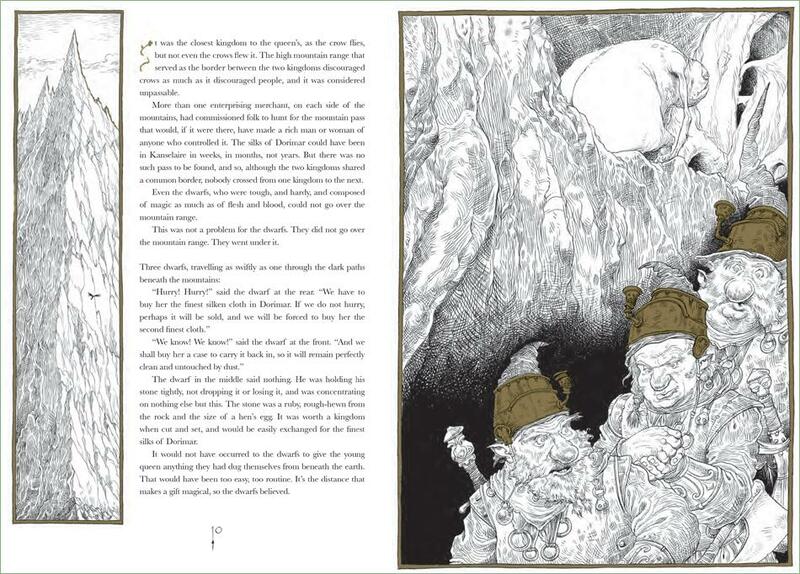 I got creeped out looking at some of them, and I loved others – like the ones where you meet the dwarves. This book looks and feels, and is, a true fairy tale. And like all true fairy tales this one has a darkness to it. This is the original kind of fairy tale where sometimes the world is a cruel and terrible place simply because it can be. It’s what fairy tales were before Disney came along. There is also an excellent twist to the tale that I very much enjoyed, and didn’t see coming. It’s nice when an old tale takes on new twists and turns. The twist was definitely what gave this book its emotional punch. This is not a book for young children I don’t think. I’d say maybe grades 4-5, and obviously, any adult who wants to give it a go. I really enjoyed this tale, and I would recommend it to anyone is in the mood for a good tale. Neil Gaiman has a way with words. He is one of those authors that makes me look at things completely differently – such as “Night’s Bridge.” That’s a scene and an image I’ll never get out of my head. And he also has a way with speaking – the way that he speaks about reading and libraries and art is inspiring. Thus, I was very excited when I heard that he was coming out with a collection of his essays and speeches in The View From the Cheap Seats. The book started off strong with some interesting essays and forwards that he wrote for different books. I also really liked that there were some authors and works that I had never heard of because it meant that I kept opening Goodreads or Evernote to find or write down the different book titles that seemed interesting to me so I could read them later. It’s always fun when an author you enjoy essentially recommends new books to you. However, by the middle, I was starting to falter. The introductions started getting repetitive and I started getting a bit bored. A couple of the people he was talking about became the “one in a million people” and I feel like I would have liked those forwards more if I wasn’t reading them all together in one shot. The book picked up again though in the last couple of sections and I found myself devouring it. I loved the On Stardust and Fairy Tales section, and Make Good Art, as well as The View From the Cheap Seats: Real Things. There was one essay in that section about refugees that made me cry actually. I’ve decided that the original essays or speeches that he wrote and put into this book are my favourite and kept me entertained and engaged the most. The forwards are the ones that I didn’t like nearly as much (though I liked the beginning ones more than the middle ones). Overall though it was a book I enjoyed and I did end up making a list of new books and authors to check out. Can’t go wrong with that! 5 Things: best birthday gift, portraits, pumpkin bread & books of course! 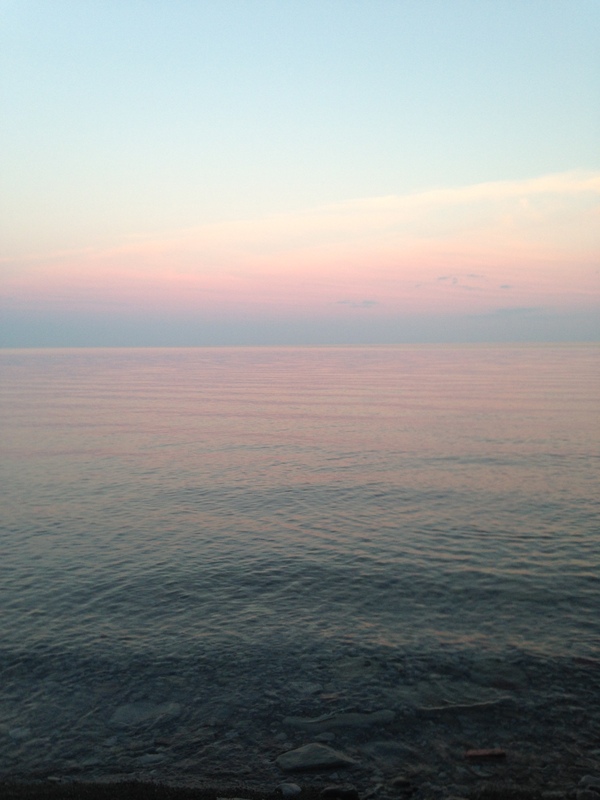 So, last week I totally missed my 5 things. 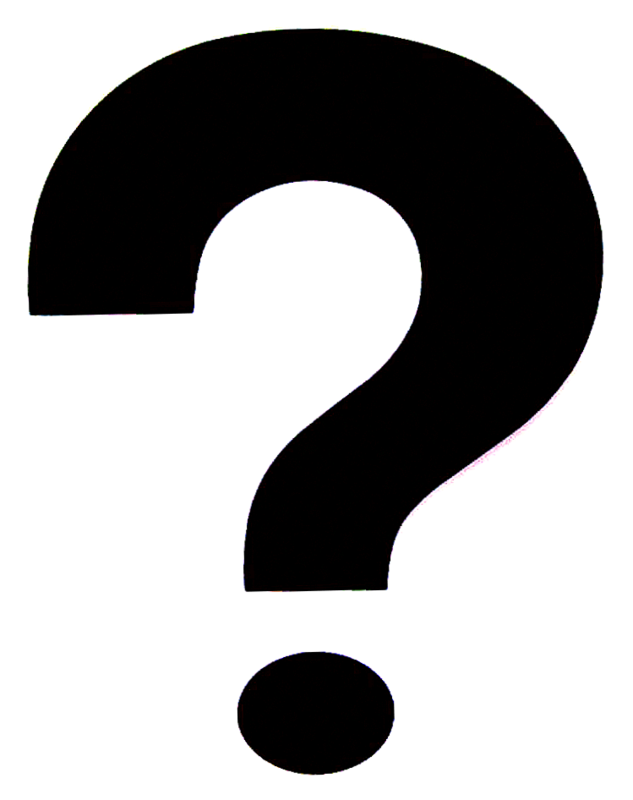 Life got busy, I fell behind in my blog schedule etc. Thus, this week combines two weeks worth of 5 things. As always, I got the idea for 5 Things from Emily of Cupcakes and Cashmere. An awesome lifestyle blog that you should follow. For my Dad’s 60th birthday we got him a flight on a Lancaster Bomber. 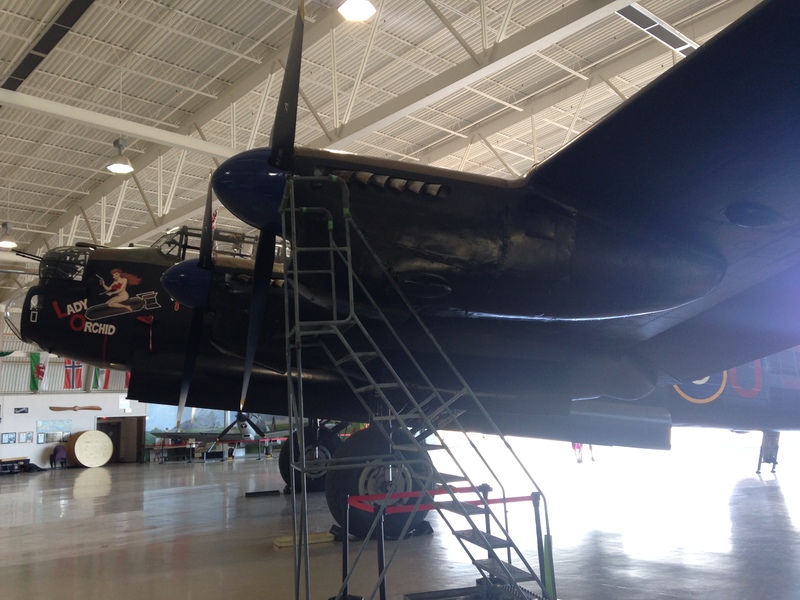 There are only 2 left in the world that fly – one is in England, and one is in Hamilton Ontario at the Canadian Warplane Heritage Museum. It was an hour long flight and he had a blast. It might have been the best birthday gift ever. I’m just sayin’. 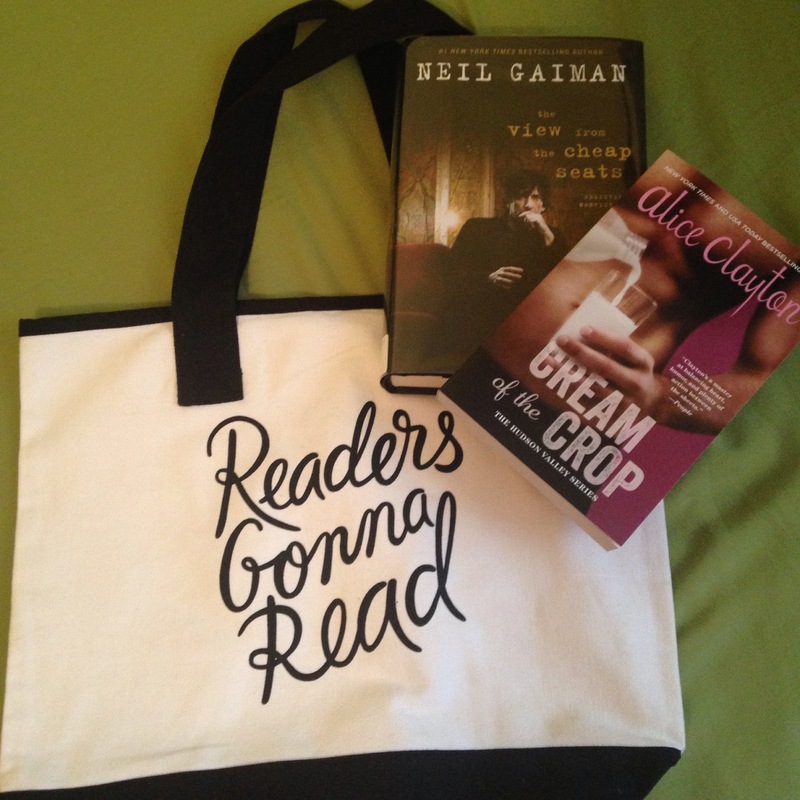 This is my new tote bag from Indigo that I absolutely love. My cousin actually got it for me because she spent over $30 in the store and thus the tote bag dropped in price to $6.99. Can’t go wrong with that. I also finished Cream of the Crop, which was hilarious. I will be writing a blog post about that soon. 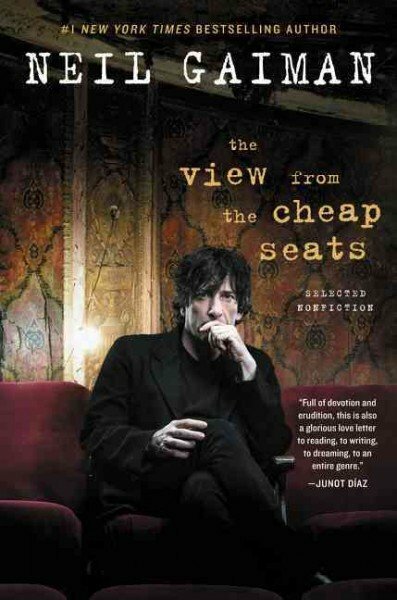 And currently I’m reading The View From the Cheap Seats. I actually have to finish it by Monday (I have 300 pages left to go) because it’s due back to the library by then. Challenge accepted! 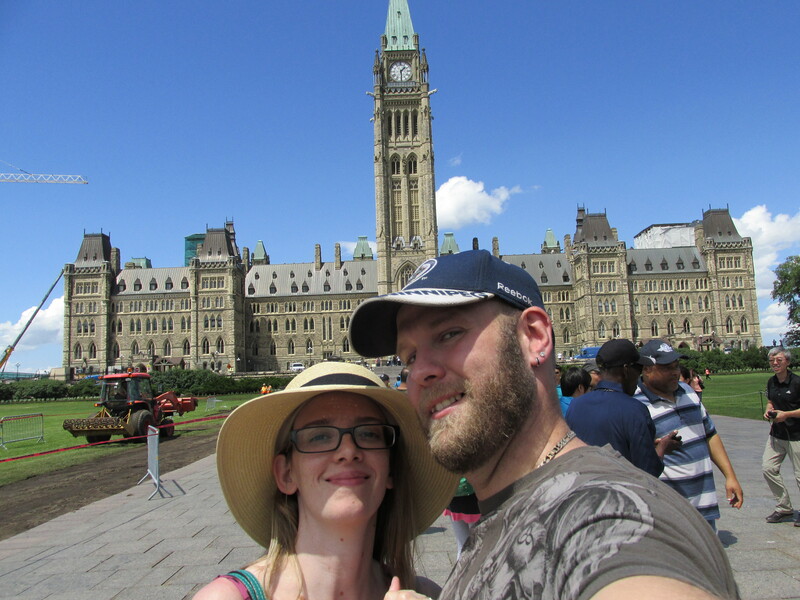 Doug and I went to Ottawa earlier in the week. We were visiting a friend of mine and his family. My friend and his wife teach in Costa Rica and they (and their gorgeous year and half year old daughter) came to Canada for a month to visit family and friends. It was fantastic seeing them, plus Doug and I got our first weekend away together, which was fun. 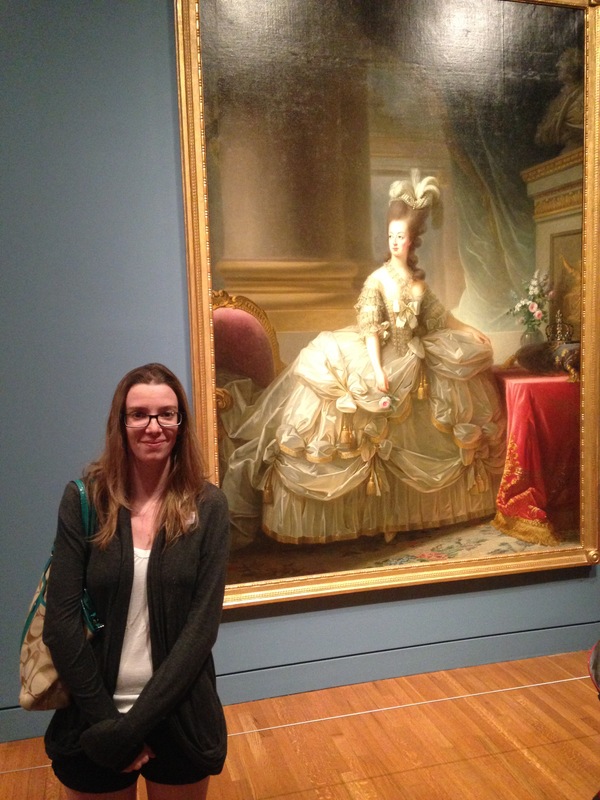 In Ottawa we went to the National Gallery of Canada to see the Vigée Le Brun exhibit. It was spectacular. Above is a portrait of Marie Antoinette in full court dress. There are 4 portraits of Marie Antoinette and dozens of others in the exhibit. 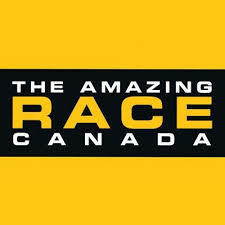 It’s definitely something that you should go see if you’re able to. This is a new recipe! 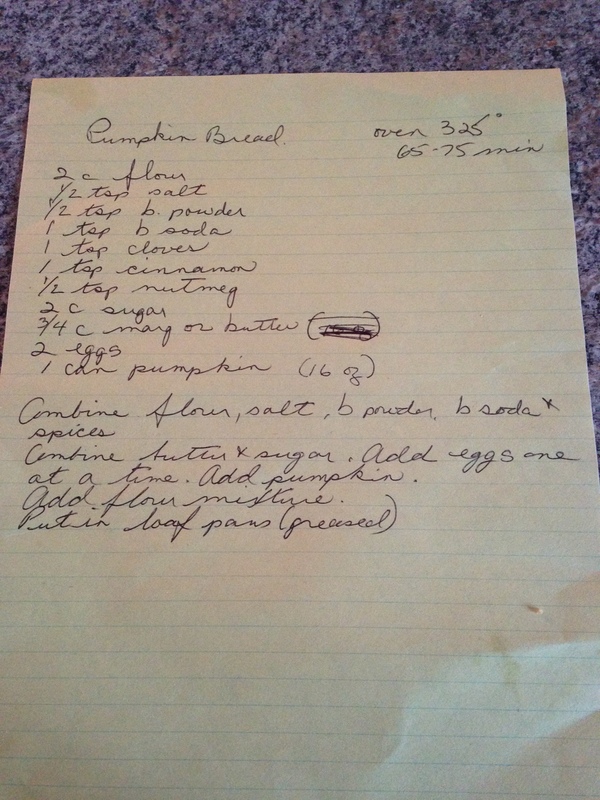 Doug’s mom gave it to me, and it’s a recipe for pumpkin bread. She had made 2 loaves when we went to visit on our way home from Ottawa, and so I tasted pumpkin bread for the first time. Delicious. I was also given the second loaf to take home. I’m so excited to make my own! 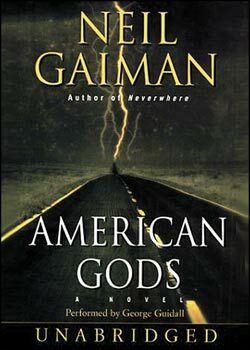 This was the second Neil Gaiman book that I’ve read, and while I enjoyed it, I have to admit that I was expecting more. 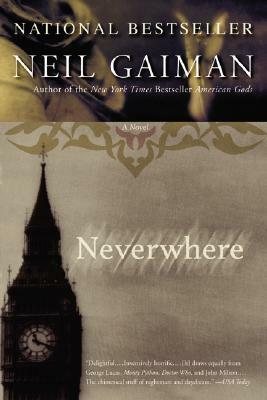 The world of Neverwhere or London Below is completely fascinating and it’s the main reason of why I enjoyed this book so much. I loved things like minding the gap, Knightsbridge made me tear up, and the market was a wondrous place to behold. The Marquis was my favourite character, followed closely by Old Bailey. Anastasia’s story broke my heart and I cried a little. For the world building alone of London Below I would recommend this book. Where I felt that the book faltered was in the plot. By about 70 pages in or so you know who the big bad is going to be, so you’re not surprised – or at least I wasn’t surprised – when everything happens exactly how you assumed it would. For a minute there I was almost convinced that a different character was the big bad, but that passes quickly, and the book travels along the same trajectory that you knew it was going to be on from the beginning. Overall, a decent read, and a fascinating new world to get lost in with London Below.